To say that SaaS is on the rise in Canada would be putting it mildly. Over the last three decades, the software-as-a-service industry, or SaaS as it’s more commonly called, has sustained an impressive growth rate. And the last couple of years have seen the development of SaaS companies, and subsequent investment in these companies, skyrocket. The popularity of SaaS has risen as companies move away from traditional in-house software to cloud-based software that is deployed and made accessible to users over the internet. Currently, there are approximately 445 active SaaS companies operating in Canada. Last year alone, $1.02 billion was invested in SaaS companies across Canada, with $743.1 million in deals that involved outside investment, the majority from US investors. It’s no surprise that Ontario, home to some of the biggest names in Canadian SaaS, was head of the class with $537.4 million over 56 deals. At the outset of 2018, it was predicted that globally SaaS would outperform last year’s numbers by $12.6 billion USD. In fact, it’s anticipated that by 2020, the worldwide SaaS market will be worth close to $100 billion USD. So as the year comes to an end, how exactly did SaaS fare in 2018? Using publicly available information, including data from our open database, we’ve put together four handy charts to illustrate the state of SaaS in Canada. We’re highlighting the who’s who of SaaS investment, the year’s biggest deals, which SaaS verticals investors are betting on, as well as the market trends to look out for in 2019. It’s important we note that not every company chooses to publicly disclose funding. And since the year is not yet officially over, final annual numbers are still pending. Investment in SaaS has followed a steady upward trajectory over the last three years, with most recent numbers putting cumulative funding in Canadian SaaS companies at $2.8 billion. With a strong economic outlook, it’s likely that we’ll see SaaS investment continue to climb well into the new year. When it comes to top verticals for SaaS investment, enterprise software — SaaS used to satisfy the needs of organizations like businesses, schools, groups and governments, rather than individual users — come out on top with 18%. 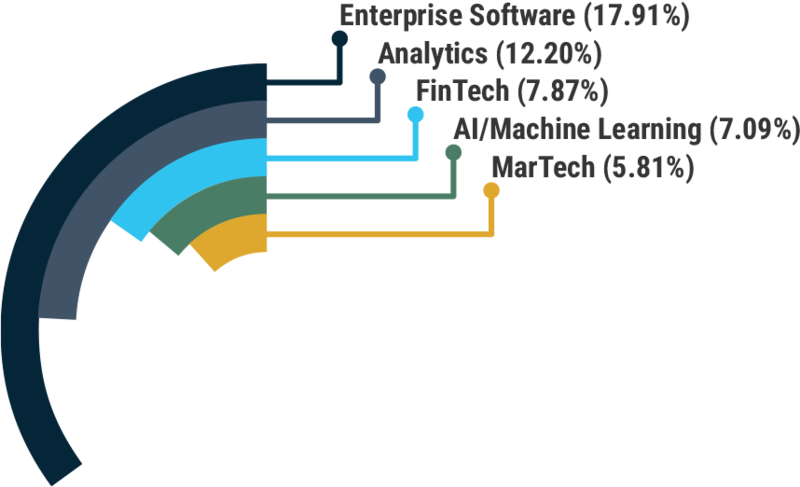 Analytics SAAS came in second at 12%. 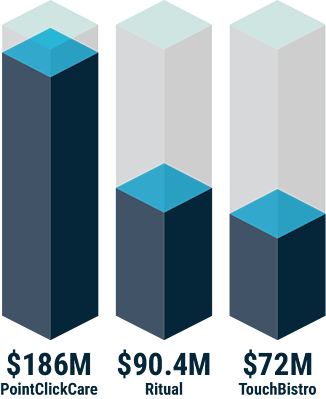 For more information on the state of Canadian SaaS, check out L-Spark’s 2018 report as part of this year’s SAAS NORTH conference. 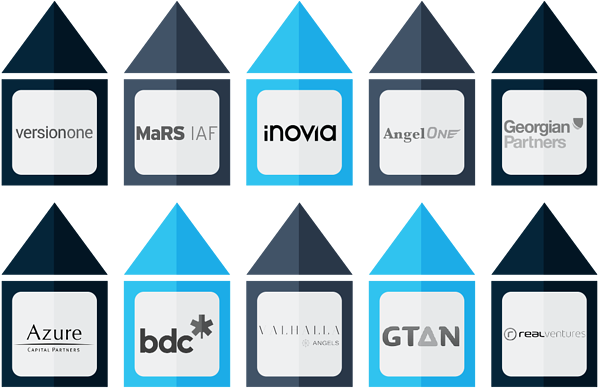 Based on the most up-to-date information from our open database, these Canadian investors had the most number of SaaS deals this year, making up a total of 90 deals in 2018. Dragoneer Investment Group announced in February that it had acquired an additional $186 million of PointClickCare shares from the company’s existing investors. The Mississauga-based company is the leading SaaS platform for the long-term and post-acute care market. Ritual, the Toronto-based food ordering app, continued its upward trajectory by announcing in June that it had raised $90.4 million in a Series C led by Georgian Partners. Also in June, the Toronto-based point-of-sale SaaS startup TouchBistro raised an additional $72 million in a new financing round led by OMERS Ventures. Want to chat more about SaaS? We’re at SAAS NORTH this week! Be sure to stop the booth we’re sharing with our friends the Lazaridis Institute or find me on the SAAS NORTH app.